FC Barcelona's new central defender faces some cracking questions in our video. Find out what his answers were! 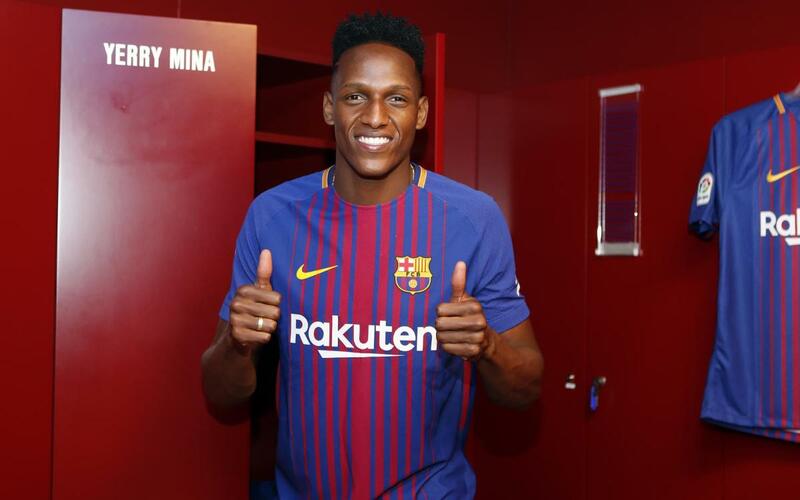 What is Yerry Mina’s aim? What does the Colombian prefer, to score a goal or to stop one? Which title does he want to win with the Blaugrana? The central defender, who was called up into the FC Barcelona squad for the first time to face Betis, faces a series of questions about football. With a smile, he tells us about his preferences. Rivaldo or Ronaldinho? Asprilla or Valderrama? He also answers a question about the stadium he most wants to play at. A clue: He has very good memories of this venue and gave a wink to Barça's history in European competition. Click the video to learn more about our new centre-back's ideas!